The 710 Freeway is up for expansion despite overwhelming evidence that freeway expansions are detrimental to communities. 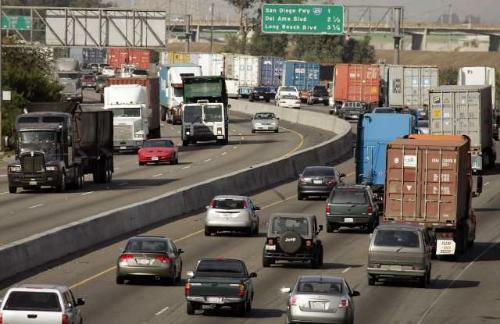 Pavement improvement work will force the closure of a section of the southbound 710 Freeway Tuesday night and Wednesday night this week, authorities said. The closure will affect the freeway between Pacific Coast Highway and Pico Avenue, Caltrans reported. Beginning at 9 p.m. Tuesday and continuing through 6 a.m. Wednesday, and again from 9 p.m. Wednesday through 6 a.m. Thursday, one southbound freeway lane will be closed. From 12:01 a.m. through 5 a.m. Wednesday, and again from 12:01 a.m. through 5 a.m. Thursday, all southbound lanes will be closed. Also, the Shoreline Drive off-ramp from the southbound freeway will be closed from 10 p.m. to 5 a.m. each day. The work is part of a $2.75 million pavement rehabilitation project, which is anticipated to be completed in December.